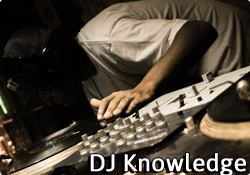 You have just entered a universe bursting with information for all skill levels of DJ's. If you want to keep up with the growing list of talented DJ's then you need to advance your skills and gear knowledge. Are you a complete beginner and don't know where to start? Great! 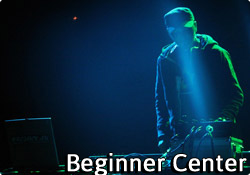 Check out our beginner section. 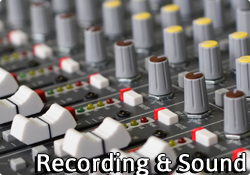 If you know the ropes behind a mixer then start by browsing the various pages of the site to find what you need. 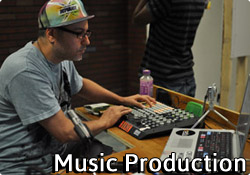 We provide you all the information you need to become a rockstar DJ. Check out our gear and knowledge sections to get started. If you have comments or suggestions please contact us! The right DJ equipment can make or break your next set. Don't get stuck with gear acquired through an uninformed purchase. 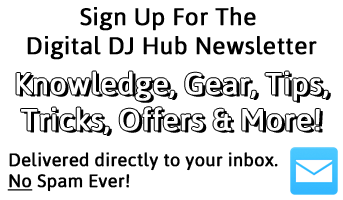 Check out our Featured Equipment Section for our knowledgeable guidance finding the correct gear for you and your budget. 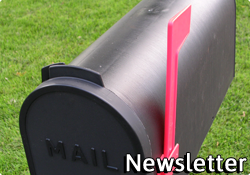 Get all the info you need to know to make an educated purchase. Your skills behind the decks are what separate you from the rest of the DJ crowd. When you take your skills to the next level, you will gain recognition for your skills and your mixes will improve. Head over to our DJ Knowledge Section to start learning the tips and tricks needed to take you and your mixes to the next level. Chances are you already know what a DJ is, but do you know what makes a DJ? For a basic definition, a DJ is defined as a disk jockey who selects music and mixes from track to track for a party, event, or pleasure. What makes a DJ is their style, music selection and performance. You could say a DJ is the key to a successful party or club night. A great DJ uses a combination of his mixing skills, his music selection, and his ability to read the crowd to keep a party moving. If you have ever seen a top DJ or played an awesome party yourself then you know that it is not about the size of the crowd, but the energy of the crowd. 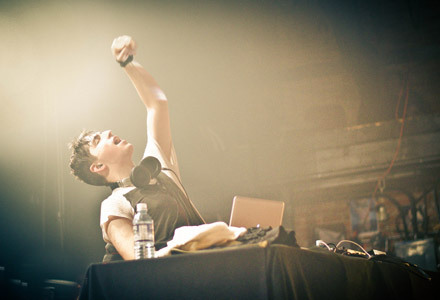 It is an impressive thing to see a DJ stand in front of a crowd of 40,000 and raise his arms to a sea of followers. As he does this a stream of light flows over the crowd as the waves of people surge to the beat. There are not many things more impressive than a large festival or stadium filled with people dancing to your beats. There is also beauty in a small, intimate clubnight. Imagine a small club atmosphere with a low ceiling, dark corners and booming bass seeming to come from behind the walls. You are able to see and feel the party up close and personal, it is right there within reach. Add to these pulse raising situations the fact that the music could be any genre under the sun and you have the beauty of a party led by a great DJ. To start to DJ you need a means to play the music you want. A DJ's gear can be considered the tools for his or her job just the way a carpenter needs his hammer to work. If you show up for the job without the right tools you won't be able to get the job done. This means you need the gear that will allow you to share the music you love. Also the right gear will allow you to create your style and sound. You don't want to sound like the next DJ in line right? Then finding the gear that gives you the tools you need to stand apart is key. 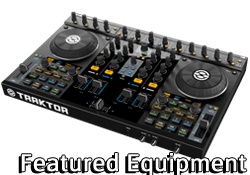 Finding the right gear for you can be a very intimidating experience if you don't know much about DJ gear. This is one of the main problems this site serves to solve. If you don't know anything about DJ setups then the Beginner DJ Setup Section is the perfect place for you to start your journey. This section uncovers any questions you have on the general type of DJ setups that are in use. 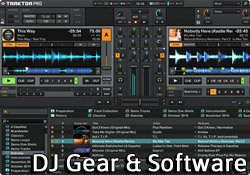 Once you know what type of setup you need then head over to the DJ Gear & Software Section to find the pieces of gear you need to spin your first tracks. Once you have the setup you need then its time to get behind the wheels of steel (or more commonly these days the "laptop of steel") and start mixing some music. At its base definition, mixing is simply overlapping two tracks in a manner that pleases the listener. This can and is accomplished in many different ways based on things like music type, DJ style, and BPM (Beats Per Minute) or tempo of the tracks. Read full information on tempo/BPM on Wikipedia. Getting between tracks can be a tricky endeavor for a DJ and modern DJ gear includes many features that make things easier and allow for more creativity "in the mix". Imagine you're sitting in a dark room with your eyes closed. You are listening to your favorite electronic DJ, the beats are pulsating through the room. You slowly lose all awareness as the music absorbs you, taking you up and down through the melodies, down through a breakdown and back up through a drop. Time passes and you suddenly notice the familiar sounds are being slowly replaced by a vocal and a distant melody which you can't quite make out. As moments pass the new comes to the front, the bassline slightly changes as the new melody climaxes and you are swept into a new world. As you feel the new bassline come through the room you feel an odd empty space as you realize the familiar song of before is now completely gone, left by a spacious new melody which grabs you and takes you on a different ride through the familiar. Did you lose yourself when reading this description above? That's great! That feeling should be familiar as you DJ and find yourself lost in the music. There is a beautiful creative front to mixing which behind lies a technical process which can be bent to your liking. At the base of mixing music of similar BPM's (beats per minute, think pace) is a process called beatmatching. Beatmatching is taking the BPM's of two separate tracks and matching them by bending the pitch of one or both tracks so that the beats line up and become one. Most electronic DJ's who play music like house, dubstep, drum and bass, techno or trance will tell you that learning to beatmatch is the first step to becoming a DJ. If you are playing a wide variety of genres then beatmatching might not be used as much, but likely it is still important. To start perfecting your skills head on over to the Knowledge Section and start working on your chops. If you think of your DJ setup as your tools then think of your music as your supplies. You need good, high quality supplies in order to build something great. Music is readily available these days over the internet. The challenge with this then becomes finding the music you really want to play and getting to know it. A great DJ not only plays great music when its appropriate, but they also know the ins and outs of the music to be able to create technical mixes. The last step sounds the easiest, but this is often not the case. Most DJ's start out as what is known as a bedroom DJ, or a DJ who simply plays music at home for pleasure. It can be a big step getting out an performing for a live audience. Once you perform at your first gig you will find that you uncover a musical experience like no other.